Item Number: 438-5-15 19031 Actual Weight: 32 lbs. 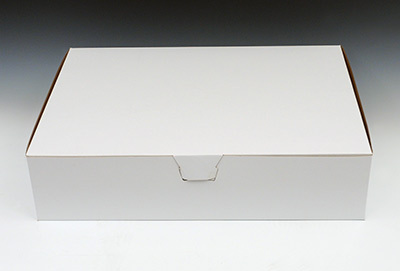 Protects and holds donuts, cookies, cakes, and other bakery items neatly. One-piece boxes have a locking corner to keep contents secure. Made from 100% virgin kraft board. Meets FDA specifications for food contact.